How to get the most out of your spray tan? Who remembers back in the day when you tanned at home and came out orange and patchy? Guilty! Well I’m sure some people still do! Save yourself the hassel and get a professional spray tan. Not only can a spray tan make you feel a million dollars you can actually feel like you’ve lost a few kilos! Everything looks better when you’re tanned. However, getting a good spray tan makes all the differnece. Invest in a professinal spray tanner who knows what they are doing and uses a good spray tanning product. At Harper Hair Subiaco we use Vani-T tanning solutions. They are amazing! I have been tanning for over 10 years and this is by far my favourtite tanning product. It smells great, and comes off the skin so easily when it needs to be removed. We have 8 hour solutions if you like to sleep in your tan or express tans that can be washed off after an hour. Now, how can you prep and get the most out of your tan? Firstly always exfoliate before coming in. I recommend getting a good pair of exfoliating gloves. If you would normally shave your legs shave them before your tan. If you shave after it can remove your tan. Don’t moisturise or wear any deodrant to your tan appointment. Always bring something loose to wear home after. Once you’ve had your tan it is important not to get wet at all untill you shower. So no doing dishes when you get home!! Your tanning specialist will let you know how long you need to leave your tan on for. Once showered pat yourself dry with a towel don’t rub too hard. MOISTURIZE!! The more you moisturize the better and longer your tan will last. If your skin stays hydrated your tan is less likely to crack or peel. Excersising, any form of sweating or swimming will make your tan come off faster. So if you have a big event try to limit these activities for the best results. How do you manage curly, frizzy hair? Having curly hair can be a nightmare if you don't know how to manage it. And everyone with naturally straight hair will always want curly hair. Because we always want what we dont have. Right? These simple steps apply to anyone with naturally curly hair. First you need to understand what curly hair needs. Hydration. Just like our skin or body when we lack water we become dehydrated. Our skin goes dry and flakey and so does your hair. Curly hair is naturally dry so we need all the hydration and moisture we can give it. If you heat style or colour your hair these elements can add to the dryness and we need to add extra protection. If you like to leave you hair naturally curly, at Harper Hair Subiaco we recommend starting off with a good salon quality hydrating shampoo, conditioner and a leave in treatment. Your leave in treatment is key to how your curls will dry. Its basically moisturizer for your hair. A few of our fav products for curly hair is Eleven Smooth Me Anti Frizz Shampoo and Conditioner. Or Wella Luxe oil or Fusion Shampoo and Conditioner. There are two types of leave in treatments. 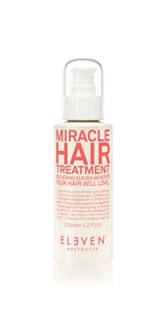 The first is an oil based one, either an argan oil, like Luxe oil by Wella or a cream based treatment which we love Eleven Hair Miracle Treatment. It all depends on the thickness and condition of your hair and what other products you are using. If you are still finding your curls need that little extra help there are beautiful curling creams that help define your curl and stop the frizz. We love Evo Liquid rollers and Eleven Keep my curl defining creme or Frizz control shaping creme. All work great with your leave in treatment. Next thing is are you heat styling and colouring your hair? Is your hair split on the ends and extra dry? Then give your hair a break. If you colour your hair, opt for a semi permanent colours to give it shine and hydration rather than lightening your hair. If you heat style make sure you always use a heat protector spray. We love Hot tool Welder by Evo or Hair Miracle treatment by Eleven. Once you give your curly hair the love it deserves your hair will thank you for it and be bouncing all over the place! We love curly hair here at Harper Hair, so if you have any more questions or would like a complimentary consultation by one of our experienced Perth hairdressers please contact us on 63611339 or book online. All products mentioned above are available for purchase from Harper Hair Subiaco. Why is it so important to use good haircare? Think of your hair stylist as your hair doctor. Just like your skin or health if you don't look after yourself you need natural health enhancers or medictation to get you to the best version of yourself. Your hair is the same. It get's damaged through colours, heat styling and our beautiful sun. Some of us are lucky to have strong thick hair that can handle a lot more of these elements than other's. But every hair type is different. If you are experiencing any type of breakage, colour fading or your styling never hold's ask your stylist for the what they would recommend. The most important haircare to start with is a good Shampoo and Conditioner. Alot of shampoo's and conditioner's from the supermarket contain artificial Silicone. What this does is makes your hair feel soft and silky to start, but it's actually creating a barrier on the outside of your hair which make's it harder for colour to penetrate through and for other products to be absorbed. For example, if you are using Olaplex at home or in the salon it may not be working to its full potential. Why? Because Olaplex works on reconstructing the bond's inside your hair shaft, it protect's from further breakage whilst colouring, however if your have a bulid up of silicone on your hair it may be preventing Olaplex or other treatments from actually getting through. A build up of silicone on the hair can also prevent colours from holding as they can't get into the hair shaft. You may be paying for a beautiful colour that has taken hours for your stylist to do, to only have your toner or semi permanent colour last a couple of washes. Your hair will look and feel it's best when it's in the best conditon possible. Colour's will hold longer and your waves will last longer! Listen to your stylist, invest in a good Shampoo and Conditioner. And once you love the feel of that maybe treat yourself to a weekly treatment! Most salons also stock super cute minis of shampoo's and conditioner's so you can try them first before you invest in a big bottle. Our fav product for repairing damaged hair is Wella Fusion. Make's the hair feel amazing without weighing it down and rebonds the hair over time! They retail for $31.00 each.